Dillon Francis is back only a week after he unleashed ‘This Mixtape is Fire’ with collaborations alongside some of dance music’s biggest names. This time its the talented Madeon and “Imperium” that join a long list of original productions to be reinvented by Dillon Francis. Quick striking synths do battle after the interpretation has reached its plateau, while a small piece of melody from the original remains in place in the breakdown. 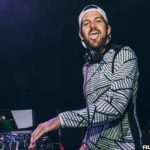 While Dillon Francis’ summer will largely be remembered for partnerships alongside Skrillex, Kygo, and Calvin Harris on ‘This Mixtape Is Fire,‘ a brand new remix has provided the icing on the cake for a producer that’s on a streak of popular work.